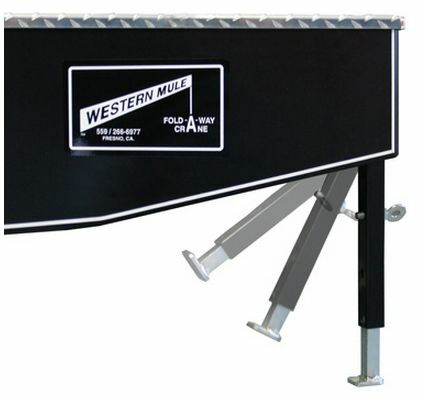 Two (2)-piece Aluminum Diamond Plate Cover, with a continuous stainless steel hinge attached with stainless steel rivets and a magnetic latch to secure the cover when closed. 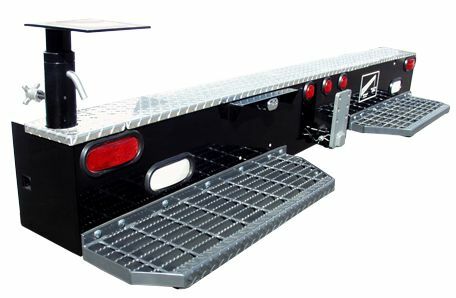 Two (2) individual steps mounted flush with the bottom of the bumper. 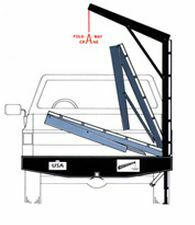 The Steps are positioned so as not to interfere with the hitch. 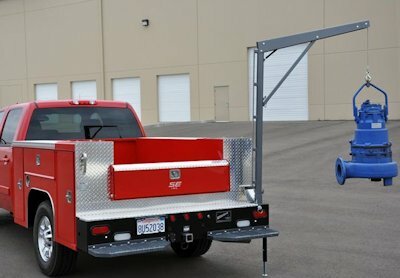 The surface of the step is grip strut and bolted to the bumper frame. Three (3) sealed beam LED lights flush mounted in a heavy-duty rubber grommet in the upper center of the bumper. 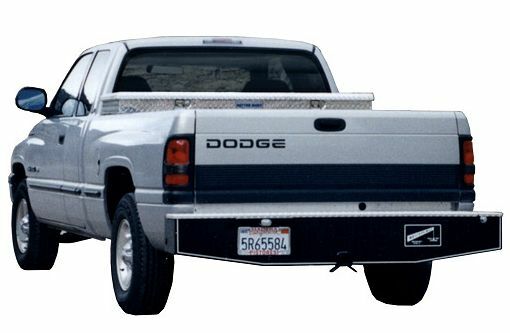 The Bumper is made of 2" X 5" tubular steel construction. The Mast shall be seamless DOM tubing with strong back. 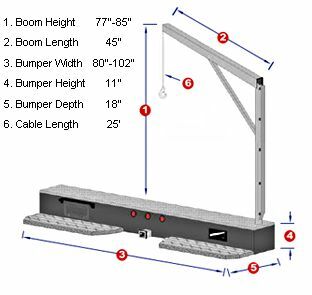 The Boom shall be formed from 1 piece of 3/16" ASTM A572 Grade 50 High Tensile Steel. All Sheaves shall be steel with replaceable oil-impregnated bushings. All Sheave Pins shall be made from plated stress proof steel.